"New routes like gold monetary reserves, which are already popular in countries like Italy, could be explored. RBI may require more guidance as to how to go about it," said Rajaraman. As discussion on draft gold policy goes on with various stakeholders, K Rajaraman, Additional Secretary, Department of Economic Affairs pointed out that gold could play a significant role in employment generation and economic growth. He also highlighted some key issues such as standardisation of gold, offering more incentives to consumers to use it as a financial asset, enlarging the bouquet of gold products, establishing the spot gold exchange, bullion bank, pushing mining and exploration and raising scrutiny of gold imports to curb misuse of free trade agreements with other countries, among others. "As gold industry has a great potential to create jobs and contribute towards economic growth, a sound policy framework that is systematic in structure is required," said Rajaraman. The government secretary made the case for creating a centralised spot exchange, and comparing policy options in countries like China and London with those in India. "New routes like gold monetary reserves, which are already popular in countries like Italy, could be explored. RBI may require more guidance as to how to go about it," said Rajaraman, adding that we need to examine the policies around mining and exploration so that exports could be given a boost along with putting in checks and balances on how free trade agreements (FTAs) with other countries is leading to illegal gold imports. 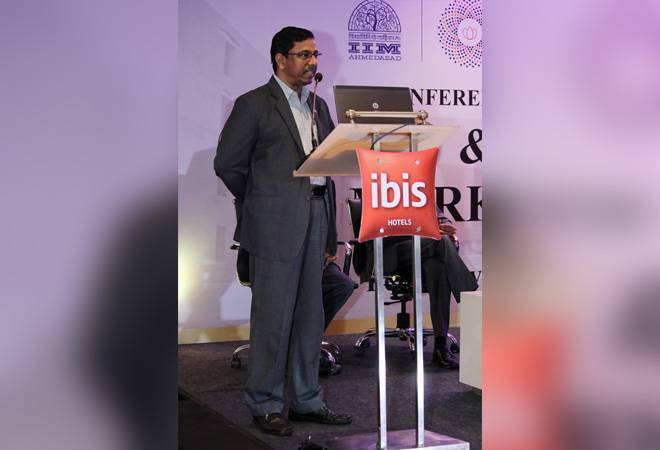 Ramarajan was speaking at the inaugural session of the Conference on Gold and Gold Markets 2019, organised by the India Gold Policy Centre (IGPC) of the Indian Institute of Management- Ahmedabad (IIM-A) on Saturday. Speaking to Business Today, Arvind Sahay, chairperson, IGPC said the new gold policy could be out by end of this calendar year. Rajesh Khosla, managing director, MMTC-PAMP India noted that gold policy is 'very much in the works' on the government's part. Sahay of IGPC enumerated key points around which gold policy should be framed. "First, current account deficit (CAD) is important but it should not be the only criteria to look at gold. Second, higher duty is pushing smuggling; we need to lower taxation on gold. Third, lack of sufficient data and lack of transparency should be addressed. Four, we need to boost exports. P R Somasundaram, MD, World Gold Council India emphasised on the need of computing how much gold import per dollar contributes to the gross domestic product (GDP) of the country. "For every dollar we spend on gold, we do not know how much it contributes to economic growth. Focus should not just be on monetisation, but also on value addition per dollar that we import." "We need to move away from the thought that India loves gold. Gold was a luxury item back then, but now other luxuries are emerging. Gold is no longer the second largest import. Electronics has taken that place," he added. The full-day conference included panel discussions on " 'The Way Forward for Gold Policy and the Next Steps' , 'Bullion Banking in India: Creating Opportunities and Developing a Sustainable Model', 'Driving Growth in the Indian Gold Derivatives Market. A few academicians presented research papers. This was IGPC's second conference on policy-relevant research on gold-related topics.